It’s that time of year again–bears are beginning to leave their dens and emerge from hibernation after the long winter we’ve had here in Montana. 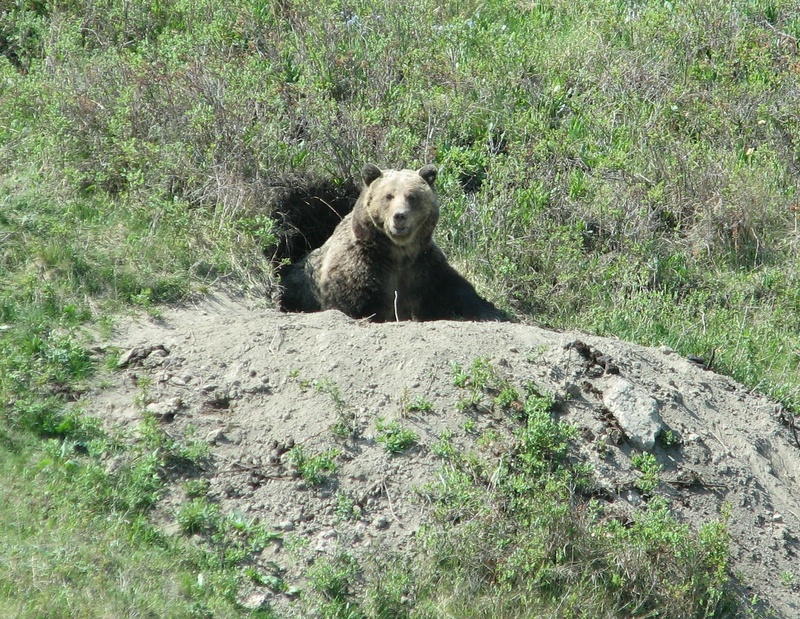 A few males are already out, we’ve even heard reports of fresh bear tracks, but most females, especially those with new or yearling cubs, are still in their dens. Female bears are the first to enter the den in the winter and the last to emerge in the spring; baby bears require extra energy and protection! During this special time of the year, it is very important to remember to practice bear safety, both at your home and the outdoors. Remember, bears emerge from their dens very hungry and a garbage bin put out the night before pickup provides an easy, yet deadly, meal for a bear. Birdfeeders attract bears, too, so please take your birdfeeder in for the season if you live in bear country. A bear found in a residential area is given only one chance. It’s first time caught, it’s ear-tagged and relocated, but the second time, the marked bear is euthanized. It’s up to us to make sure this doesn’t happen! Remembering bear safety is especially salient this week with the horrible news coming out of Florida: several black bears have been euthanized after a woman was attacked by a bear digging through her garbage. We don’t need to see this happen in Montana (or in any state!). By taking extra precautions with garbage, pet food, compost, and gardens, we can keep bears (and people) safe and out of trouble. Also, don’t forget to carry bear spray while hiking, especially since it has been proven to be 98% effective in bear attacks. GBF encourages the use of Counter Assault brand bear spray, which comes out in a large cone shape that creates a cloud for the bear to enter. Dr. Jonkel, GBF’s co-founder and President, was involved in this spray’s testing and knows it’s efficacy first-hand. After preparing to keep bears and yourself safe, please join us in welcoming bears back from their winter slumber at our annual Bear Honoring event! This year’s event will occur the weekend of May 2-4th and will be held in Missoula, Pablo, the Mission Mountains, and Glacier National Park. Participants will find and eat bear foods, watch a Powwow and bear dance, look for signs of bears, and learn about bears and their habitat. Bear Honoring is free and open to the public, with donations accepted. Click here for more information on Bear Honoring.